Continuation, Back to the Roots, Hyrbrid, or another Reboot? I find the classics to be somewhat campy. Not a ton, but a little. They do definitely have a comic book style, artistically speaking. This is why I always felt like Andy Park drew Lara so well, it felt like he captured the classics’ art style perfectly, perhaps even better. Honestly I wish they would take inspiration from the original TR comics. They really captured classic Lara to a T.
It's all about the way it's presented, so no. Chronicles kinda, only. Then Legend and Anniversary really committed to being campy. That's kind of because of a lack of cutscenes though, I believe. The classics were all gameplay, so tone couldn't really be established as well as LAU. Continuation for sure. This is the Lara I love the most, and these are the games I had the most fun playing, and the games I felt more invested story wise. I mean... campy is defined as over the top and unrealistic while owning it. Pretty sure a 130lb curvy bombshell British woman killing t-rexes with dual pistols whilst doing backflips fits that definition to a tee. I think some people find the word "campy" to be an insult or off-putting, but it's not. The fact that classic TR was so unapologetically over the top is part of what made it so amazing. Yeah exactly, it's not necessarily a bad thing. Back to the roots. Make it all about gameplay. That's the most important thing. Not everything was perfect in the classics, but it was all about the gameplay. Create a worthwhile game that isn't "automatic". 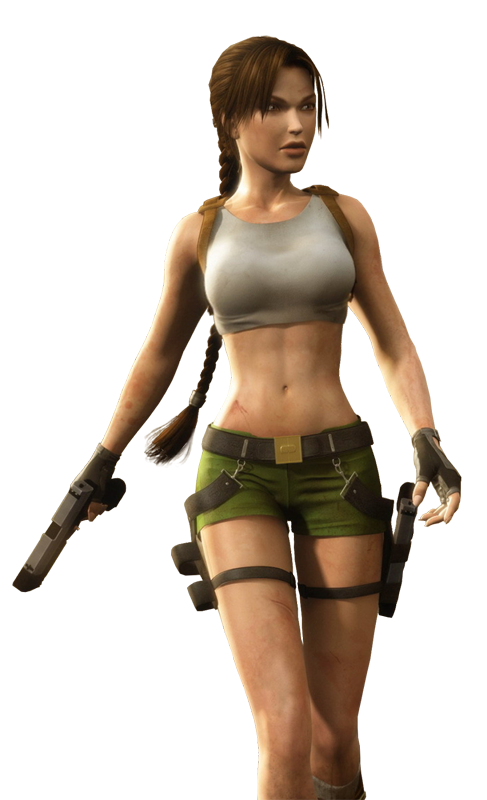 Also, bring Lara back. She made the adventure fun. Last edited by Legends; 27-01-19 at 01:12. I think I don't care any more - reboot / hybrid / continuation / whatever. Provided it's an adequate action adventure with platforming and exploration elements in interesting environments with a Lara Croft of some sorts, I'll take it. I used to care about the experience I got from the TR franchise as it was the one that really got me into games and was profoundly creative and beautiful in a way that is hard to remember 20 years on. But there are other franchises that I have fun with. And Shadow was fine for what it was. It did a lot of things I like. -Make the mystery more mysterious, don't just chuck in some old legend, do something with it. I should be excited by the mystery, yearning to know more as the game progresses. I should be riveted by my expectations of what it all means and then blown away by the implications of the resolution. -Put us in more interesting and unexpected environments - not just in the wilds scavenging. The graphics and gameplay mechanics are fine. Now do something with them - make it a story / adventure that blows us away. If that means changing everything that has gone before so be it. - Classics: Levers, keys, traps and light backtracking, Blood Ties and The Nightmare tomb style. Both examples show us that it can be done and still be incredibly engaging and fun. - LAU: Lighthearted moments and high-tech stuff. It would be a breath of fresh air to have some camp back. Nothing too cringey, though. I would also welcome some updated gear for Lara. - Reboot: Hub system, setpieces, combat, difficulty settings. I feel like in terms of exploration and tombs, Shadow is probably the best TR game we've had since The Last Revelation. I want them to keep down that route, specially after the amazing DLCs we've had so far. However, I believe we need more meaningful combat scenarios and some iconic setpieces too, TR2013 style. - Other: Open world, engaging storyline, well-rounded secondary characters. I feel like both the story and the characters need to be amazing this time around. These days you can't just focus on gameplay and forget about the rest. They should really pay more attention to that. When it comes to an Open world game, I guess if the hub system becomes a little stale, I would welcome that approach but done correctly. If we take a look at Shadow's direct competition last year, all of them were open world games, so I wouldn't be surprised to see that in the future. It's something new to the franchise so I would keep an open mind about it. - Classic: Her sarcasm, wittiness and toughness. - LAU: Her acrobatics (maybe more parkour than doing 100 flips per second, though), her maturity, and also her graceful movements. - Reboot: Her nerdy, scrappy and resourceful side. Her psycho (oil refinery) side MUST come back too. And also I really like her more grounded/human side that I felt was missing from the previous incarnations. I don't want those to disappear. When it comes to her image in the next game, I think this represents what I would love to see. 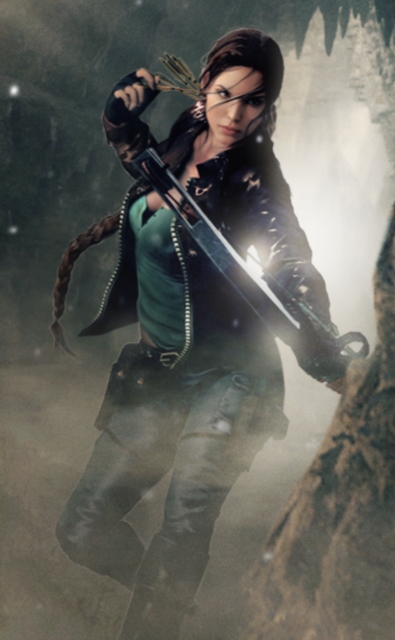 It shows a Lara that could be an older version of Reboot Lara while also retaining what made classic Lara awesome (plus, the duals, of course. Imagine them in the artwork below).